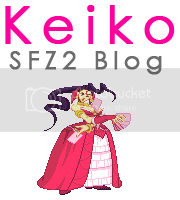 Here you will find all my Custom Combos videos for all the cast of Street Fighter Alpha 2. This was the initial step of the whole project and my first steps as video editor as well, so the editing of this ones is not that good in some cases. In the videos i tried to show many basic and advanced CC’s for all the characters, including LVL1/LVL3 CC’s, Anti Air CC’s, 1 Frame CC’s (if available) and some glitches too. Some little things may be missed because i totally forgot to include some specific set-ups or variants and also didn’t wanted to made the videos too long and boring, so i just leave what i felt is important to the character itself. All the videos have a detailed transcript of what’s going on in each combo. You can also check the Documentation page for further information on the glitches used in some set-ups.